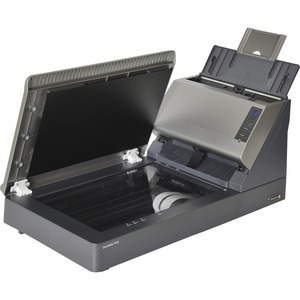 Xerox DocuMate 5540 is a uniquely designed document scanner that combines both a flatbed and sheetfed scanner in one unit. It also includes a 70-page automatic document feeder (ADF) making a highly versatile scanner for today's modern office.The DocuMate 5540 is engineered to scan nearly anything in the modern office and securely file it away digitally until it is needed. It scans 40 double-sided pages in less than a minute and has a legal-size flatbed for scanning bound notebooks, thin or damaged documents and transparencies.